DJI has rethought its drone technology from the ground-up, revolutionizing its systems to achieve a new standard for drone accuracy – offering Phantom 4 RTK customers centimeter-accurate data while requiring fewer ground control points. Capture the best image data with a 1-inch, 20 megapixel CMOS sensor. The mechanical shutter makes mapping missions or regular data capture seamless as the Phantom 4 RTK can move while taking pictures without the risk of rolling shutter blur. Due to the high resolution, the Phantom 4 RTK can achieve a Ground Sample Distance (GSD) of 2.74 cm at 100 meters flight altitude. To ensure each Phantom 4 RTK offers unparalleled accuracy, every single camera lens goes through a rigorous calibration process where radial and tangential lens distortions are measured. The distortion parameters gathered are saved into each image’s metadata, letting post-processing software adjust uniquely for every user. To match the growing demand for improved transportation infrastructure, Teams have seen towards new technologies to increase efficiency. Throughout that process, many contractors have put drones to use on Site to create regular site maps and conduct surveying missions faster. 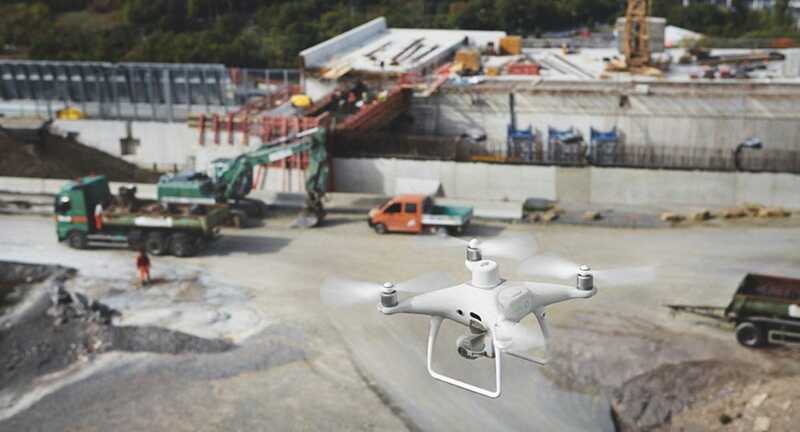 "The use of drones for construction mapping has a lot of Advantages. Their integration changes our workflow and Simplifies many operational steps. Conventional surveying Methods do deliver 3D models as well, but digital terrain Model created from drone data provide a higher point Density, and therefore reality is portrayed in much higher Detail,” says Thomas Gröninger, Head of Business Unit Digital Object Survey and UAV at STRABAG. Photogrammetry is not a new science and has been used for topographic mapping, architecture, and engineering long before the advent of drones. But the rise of computer vision-driven photogrammetry in recent years has paralleled the development of accessible commercial drone hardware and software. The simplicity and automation of today’s solutions allow professionals to integrate these flying robots into existing workflows to map huge swaths of land and generate high-resolution 3D models. This data makes it possible to analyze the world around us more accurately and quickly than traditional measurement methods, such as ground surveys and manual measurements. 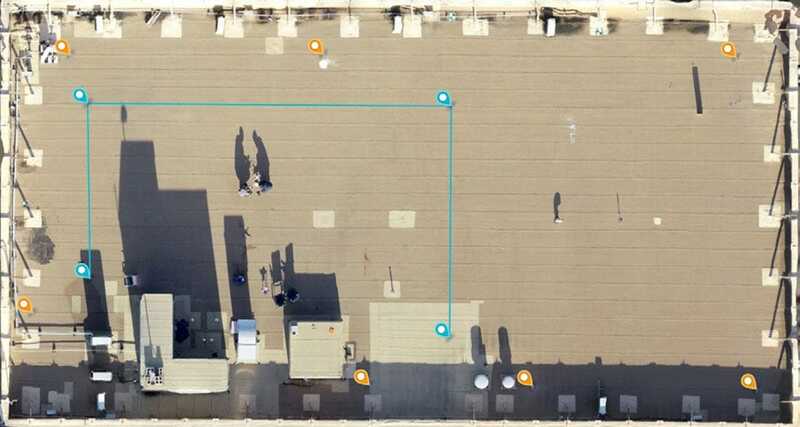 In our last white paper, we showed drones can deliver accuracy within 1% of real-world measurements when using Ground Control Points (GCPs). Image Position Offset:	The position of the camera center is relative to the phase center of the onboard D-RTK antenna under the aircraft body's axis:(36, 0, and 192 mm) already applied to the image coordinates in Exif data. The positive x, y, and z axes of the aircraft body point to the forward, rightward, and downward of the aircraft, respectively. Mapping Accuracy **:	Mapping accuracy meets the requirements of the ASPRS Accuracy Standards for Digital Orthophotos Class Ⅲ.